A great way to start the day if you happen to be in the Adirondacks is with yoga on the dock at the Lake Placid Lodge in Lake Placid, New York. This morning's yoga practice was wonderful, and so was the view, as you can see in today's featured photo. 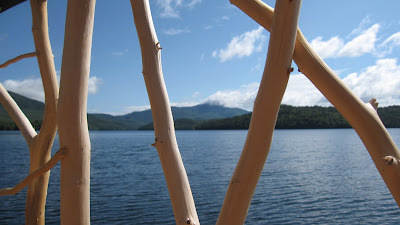 Photo of Whiteface Mountain as seen from the yoga mat on Lake Placid, courtesy of Joann Sandone Reed.